Former paramilitary chiefs threaten reputation of many "good Colombians"
Colombia’s war crimes tribunal could pose a major threat to Colombia’s military and private sector as an increasing number of former paramilitary leaders say they will reveal their collaborators and sponsors. In a written testimony obtained with newspaper newspaper El Tiempo, the former chief of demobilized paramilitary organization AUC, Salvatore Mancuso, reiterated he would name people and companies that supported the death squads that partially demobilized between 2003 and 2006. 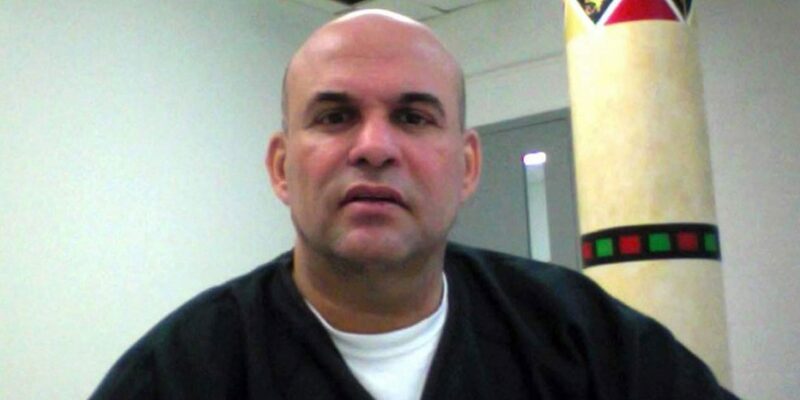 Mancuso, who is currently in prison in the United States, is waiting for a decision from the Special Jurisdiction for Peace (JEP) on whether he will be included in the transitional justice process. In a recent interview, Mancuso accused top state officials of trying to derail the peace process. According to El Tiempo, Mancuso has formally offered to testify and reveal information that could condemn powerful people in the military and business community. There are distinguished people who I mentioned when I confessed the truth about ties to and mutual support agreed with third parties. Some of the people are state agents, belonging to the armed forces. Nevertheless, many of these cases haven’t been investigated or judges absolves them. The former AUC chief said he would also provide information on the so-called “para-economy,” the use of death squads by businessmen, state officials and top military commanders to displace farmers for the economic benefit of agro-industrial businesses. Mancuso also said he had secret meetings with high-level government officials while in jail. The commander who led the demobilization of the AUC may also reveal information about the far-right paramilitary group “12 Apostles” that was allegedly founded by Santiago Uribe, the brother of former President Alvaro Uribe, and his alleged personal ties to the Uribe family. The ex-paramilitary chief is currently serving time in an Atlanta jail on drug trafficking charges will be released in mid-2020. Mancuso is just one of multiple former paramilitary commanders who have asked to take part in the judicial element of the peace process, claiming that the sponsors and collaborators of death squads were never called to justice. According to a study by the National Center for Historical Memory, more than 260,000 people were killed during the armed conflict. More than half of the civilian victims were killed by paramilitaries or state officials.